Psych outfit Elevant are getting ready to launch their second LP, Dreamface. Getintothis Chris Hughes takes a look at their DIY approach to making themselves heard. Elevant are living proof that sometimes if you want to get something done, you’ve got to knuckle down and do it yourself. What started out as an experimental recording project for singer and guitarist Michael Edward soon evolved into much more and the heavy psych outfit have been working hard to put out their releases through their own label, Elevant Music Limited, ever since. The follow up to last years self titled record was recorded at Western Recording Company over five days, each track of their new album was recorded live to capture their hard-hitting, frenetic-fuzz sound. 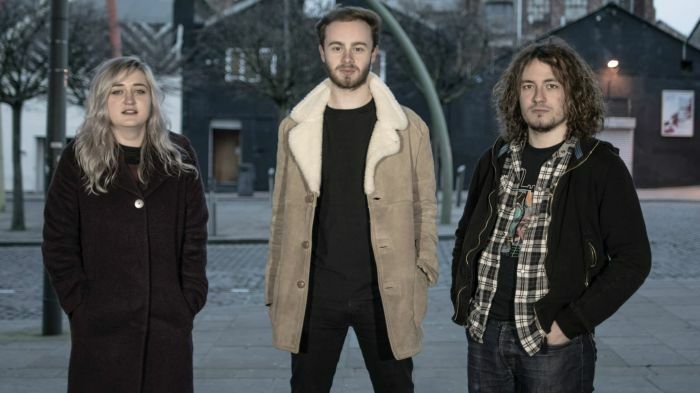 Currently consisting of drummer Tom Shand and bassist Hannah Lodge, the line-up changes fluidly – with Edward the constant creative core of the band. The result is a sound that mashes widespread influences, with Clutch-esque stoner stomps, the relentless punk riffage of Turbowolf and alternative metal vocals in the style of Kadavar’s Lupus Lindemann. With an upcoming show at The Underbelly in London, the trio return to the North West with shows at The Ferret in Preston and Maguire’s Pizza– where they first made their live debut. Further UK-wide dates follow and we’re looking forward to the launch party of their new album, Dreamface, at Liverpool’s own Lomax on March 13.